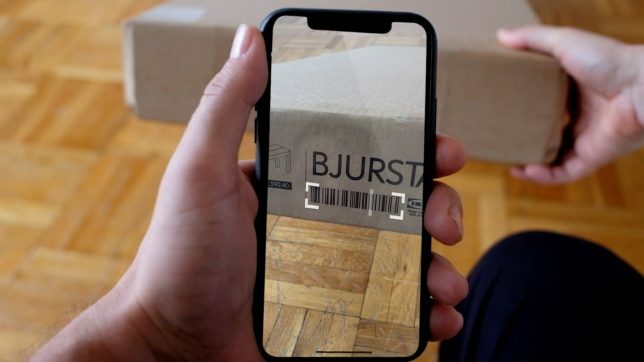 Putting IKEA manuals into augmented reality, this phone app lets buyers scan their product’s barcode, then swipe to follow steps in realtime against the actual backdrop of the room being used for furniture construction. 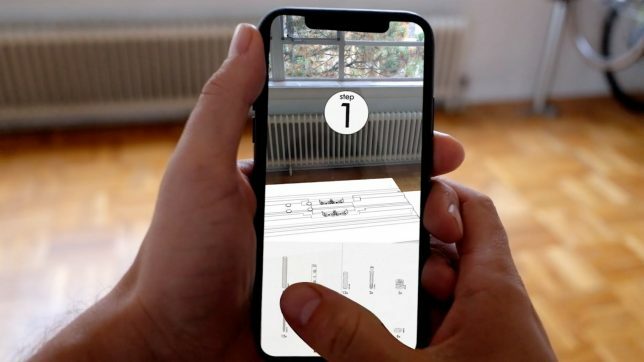 Developed by Toronto designer Adam Pickard, AssembleAR uses 3D modelling coupled with post-production editing to recreate the building experience. Pickard was inspired by the IKEA Place app that allowed people to see what specific pieces of furniture would look like in their own home, as well as the frustrations sometimes associated with building the company’s signature flat-pack systems. 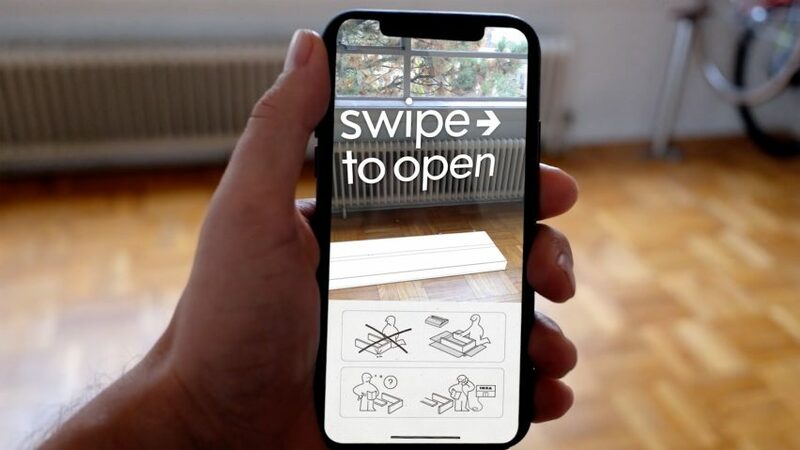 Technically, while the focus of the app is IKEA, it isn’t an official product of theirs, and could be expanded to encompass other furniture makers. It does, however, draw on the IKEA manual aesthetic and process, adapted in Cinema 4D but rendered to look much like the original instruction sets. As an added perk, though, swiping through the first few steps can show you how much space you’ll need to set aside in order to lay out construction materials and tools (since these illustrate the initial unboxing and laying out of parts). Between swipes, each page details the elements (surfaces, legs, connectors, etc…) needed in a give step, designed using Adobe Illustrator and Photoshop. 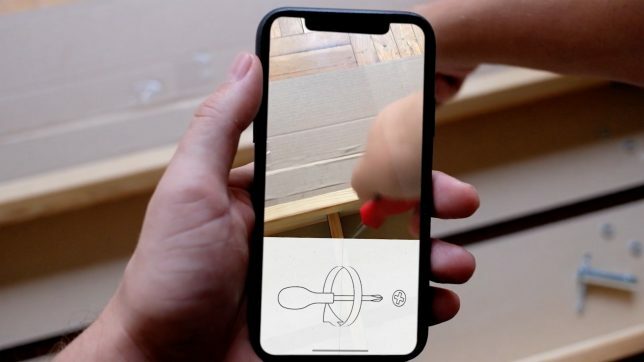 While others have adapted IKEA instructions to make them more clear, the focus of this app is to stick to the prescribed route but grasp it in a three-dimensional way.